It is a very easy to understand method: the aim is to direct traffic to your website. Therefore it is also open to abuse through click fraud. 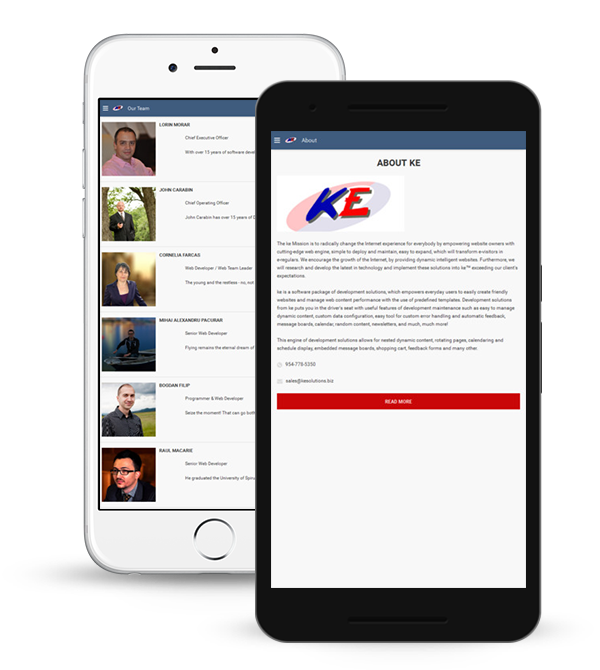 ke Solutions team is here not only to help you make money through PPC campaigns, but also to protect you from abusive clicks by competitors or corrupt web developers. This is the place to start if you want a paid search campaign. Google Adwords receive the most searches conducted and they have the largest inventory of display advertising today. They have programs that include local, national, and international distribution. Yahoo! SEM is considered to be the second paid search provider. You can use this player when you want to improve your exposure and when you dried up the reach of other providers. The potential is great if used correctly. Bing is the Microsoft’s search engine, the direct competitor of Google Adwords and Yahoo! SEM. But lately it is considered to give the best cost per lead/goal on average, therefore the use of this provider is more and more relevant. It also has a large paid search inventory very easy to use. If you want to improve your brand exposure and get more visitors to your website don’t neglect the Facebook advertising. The potential is great if using creative banner advertisings and the costs are affordable (cost/visitor usually smaller and cost/lead often higher). There is also the possibility to segregate different aspects interesting to you: location, gender, interests and others. The success of a paid search advertising is linked to the correctness of the campaign setup. In order to obtain good results you need to have clearly defined targets. These targets can be obtained through different paid search interfaces and analytics programs (like Google Analytics or Yahoo! Analytics). Straightaway simultaneous exposure of your ads to potential countless prospects in the defined area with immediate results in many visitors and possible buyers of your product. There is a big possibility of positioning your ads in the top lists and increase the number of viewers, by selecting unique keywords related to your product. They will catch the attention of major search engines which in turn will give your website higher ranking. You can create a campaign for a specific target group (geographically, of interests, gender, etc.) and you can determine the exact time to show the ads for specific areas. You can tailor the campaign considering the exact budget you want to spend. Your ads can be published in countless websites through content networks. Definitely, the best benefit is the guaranteed profits made out of a well developed advertising campaign.